As the official global betting partner of Premier League teams Man Utd and Watford, MoPlay is taking the online betting world by storm. With a massive football offering, exciting fast markets and a wealth of promotions, MoPlay is sure to become your favourite bookie! 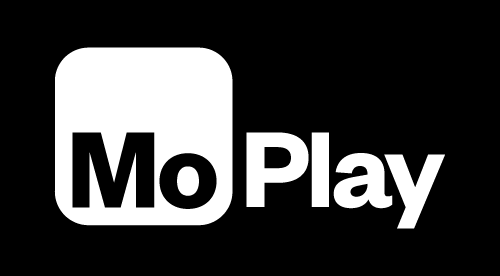 With a name like MoPlay, you'd expect a mobile app to go with it. Loaded with daily odd upgrades, power play & cashouts and in-play betting markets, the MoPlay app for iOS and Android is great for a quick bet on the go. It also features the latest casino games and slots for those looking for some additional entertainment. The MoPlay Sports platform is very easy to use. Everything is organised into clear categories, making it very simple to find what you are looking for, whether you're playing on desktop or mobile. Despite being a relatively new bookmaker, MoPlay Sports has done a fairly good job in terms of their odds. Overall the odds are reasonable. The best value can be found in big televised events, such as Champions League matches. It also offers Best Odds Guaranteed promotions on UK and Irish horse racing for customers based in the UK, unfortunately this is not available in Ireland as of yet. Having partnered with big football clubs, it's no surprise the football offering at MoPlay is as impressive as can be. From big leagues like La Liga and the Premier League, to the Zambia Super League and Uzbekistan Cup, MoPlay Sports has got it all. For those who aren't interested in football, it has plenty to offer too. A long list of sports is available, including American football, basketball, e-sports and even surfing. There are several leagues and bets available for each sport, so no matter what you're into, you can be sure to find your perfect bet at MoPlay Sports. For players who are looking for a little bit more excitement, MoPlay has an impressive live betting offer lined up. Neatly organised under a separate live betting tab, players can easily keep track of all events that are currently running. While there are no live streams available, the bookmaker has provided several statistics players can use to closely follow the match and place their bets. Due to its partnership with SBTech, MoPlay is able to offer the developer's latest feature: fast markets. These markets allow players to bet on events that will happen in the next one to five minutes, such as corners in football or point winners in tennis. New customers at MoPlay Sports are welcomed with a £30 (2x£10) free bet when placing their first bet of £10 or more. This might not seem like much compared to other UK bookmakers, but MoPlay makes up for this with other enticing promotions. The Club ProMo offer for example rewards players with a £5 free bet when their £10 football treble or higher is settled. Players can avail of this offer once a week. In addition to this, MoPlay also offers daily promotions and event related specials, such as price boosts and enhanced odds for Champions League games. In terms of banking, MoPlay lets you deposit and withdrawal with all popular payment methods, including credit-/debit-cards, Neteller, Skrill and paysafecard. Deposits are processed immediately while withdrawals can take anywhere between 24 hours and 5 working days depending on your chosen payment method. It's important to note that you can only withdraw to the same method used to deposit your account, unless you've deposited with paysafecard. Should you have any questions or issues, MoPlay's so-called Solutions Squad can be contacted via live chat, email or post. The contact details can be found under 'Complaint Procedure' in the footer, which is not the most straightforward place to look. However, there is also a help section with frequently asked questions that might be useful for simple queries. With an incredible football offering, MoPlay deserves the title of a football fan's paradise. However, it also has plenty to offer for bettors who are interested in other - perhaps more niche - sports. Topped off with attractive bonuses and fast markets, MoPlay has got it all!